Above is the 2016 Flyer. Click to Enlarge. Once every October, Cedarville First Assembly's campus is transformed into a carnival-like festival called Fall-A-Palooza. 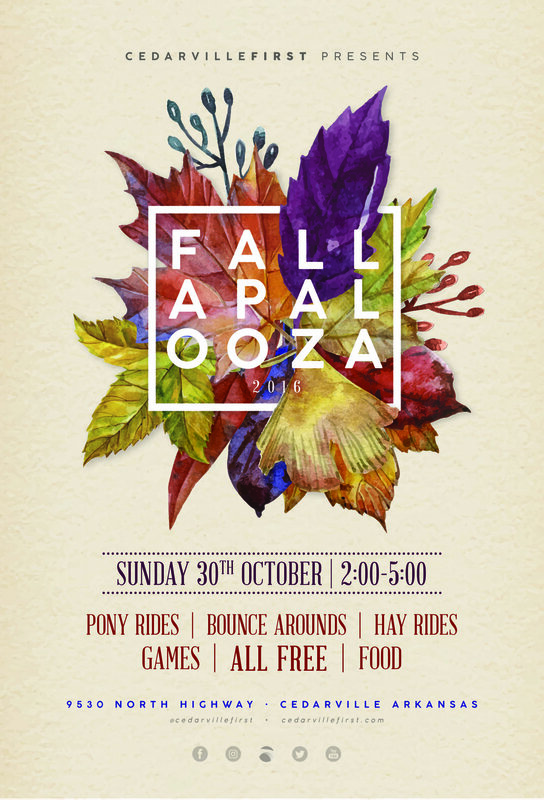 Complete with a live pony carousel, tons of games for the kids, hayrides, balloon animals, and all kinds of foods and candy for the entire family, Fall-A-Palooza is completely free to the community. We pride our outreach on being an extremely fun and safe atmosphere for everyone to attend! As the outreach has grown, we have seen attendance climb to the 2,000+ mark over the past several years. We are excited to see what God continues with our Fall-A-Palooza Outreach! We would also like to thank McKee Foods Corporation for their annual snack cake donations.